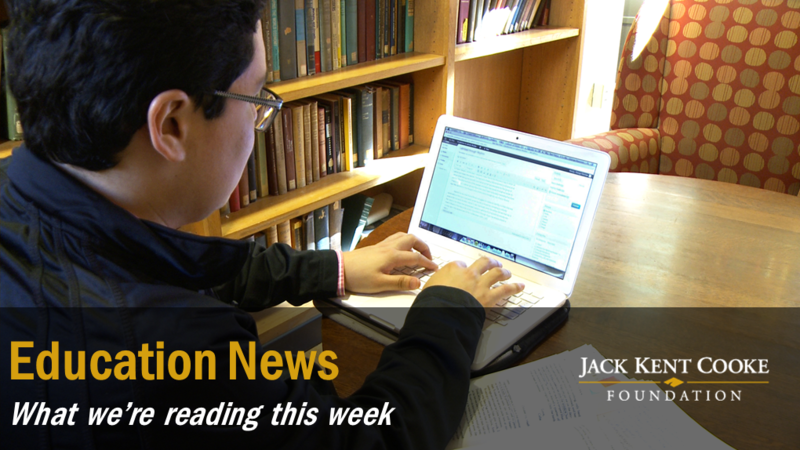 April 8, 2016—Here’s our weekly roundup of education news you may have missed. The importance of identifying talented students in K-12 is emphasized, and enrollment and retention issues among low-income college students are popular discussions. “Universal screening, with a standardized process that does not rely on teachers and parents, can reveal talented, disadvantaged children who would otherwise go undiscovered,” writes Susan Dynarski in The New York Times. Analyzing applicant data from Brown University, Quartz reports that living in a sparsely populated state might be an advantage for admissions to an elite college or university. When making a college decision, many students look at which school offers the most generous financial aid package. In The New York Times, Executive Director Harold O. Levy warns that institutional grants may diminish after freshman year, an important factor in estimating college cost. Bowling Green Daily News in Kentucky notes concern from one administrator that “cutting funding to universities leads to missed opportunities for students,” after finding that retention increases when students are more engaged with resources on campus. Noting the disadvantages need-blind admissions practices have for low-income students, Executive Director Harold O. Levy writes: “We need to address the problem of economic discrimination that is keeping bright students out of colleges they are academically qualified to attend.” Read his full piece in The Huffington Post. Rutgers University selects Cooke Scholar Jonathan Finnerty for its summer Archaeological Field School in Italy. Cooke Scholar Noam Faingold discusses the OK Electric Music Festival his Burning City Orchestra in an interview with Public Radio Tulsa. This is the last weekend for 7th graders to work on their Young Scholars Program applications! The deadline to apply for our pre-college scholarship and advising program is April 14, 2016.